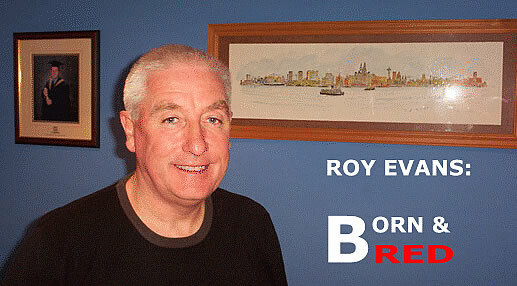 Roy Evans - Born and bred - LFChistory - Stats galore for Liverpool FC! Roy Evans and can do nothing but sit and fiddle nervously with my pens and notebook. Alongside me, a TV screen is showing an episode of Kilroy and they're discussing obesity. A fat man is getting rather irate because people keep telling him he's fat. I stand and check my waistline. Not bad. Then Roy arrives, fresh from an early morning haircut. He looks well and is pleasantly free of the drawn and careworn appearance that marked his last momentous days in the Anfield hot seat. It's nice to see some men are able to undergo the rigours of Premier League management and emerge the other side relatively unscathed. We retire to a more relaxing corner and my fixation with timing comes immediately to the fore. Was it possible that Roy's appointment as manager of Liverpool in 1994 came three years too late? Would he not have been the more natural successor to Kenny Dalglish in 1991 instead of the under siege Graeme Souness? Evans is not so sure. "People have said that but I never assumed I was ever going to get the manager's job in 1991. Also, the boot room culture couldn't go on forever. The game was changing and Graeme had his own ideas. He'd been abroad in Italy and he'd managed Rangers in Scotland so he had learnt his own methods. He didn't change a million things like people think he did but it's probably fair to say the club needed dragging into the 21st century a bit." "It's funny because I was told by someone at the club that I was nearly offered the job in 1983 when Bob Paisley retired. I think that would have been far too early for me though." Ah, 1983, those heady days when it all seemed like the success and the glory would go on forever. In those days, Evans was the bright young thing busying himself with the running of the reserve team having been appointed it's manager back in 1974 when Paisley had stepped into the breach left by the departing Bill Shankly. Shankly's retirement had been the first fly in the ointment for the 'Boot Room' empire, though of course back then, no one ever called it an empire as such. When Paisley had assumed managerial control one of his first decisions was to ask Evans to effectively end his playing career and to take his first steps in a new direction. "It was a shock. I was only about 25 and I took a few weeks to be convinced about it. But Bob, Ronnie ( Moran ), and Tommy ( Smith ) all persuaded me it was a good opportunity. Bob told me I could always go back to playing if it didn't work out but in all probability I would never be more than a squad player at Anfield. He reckoned I could make a decent living playing elsewhere if I wanted but I just wanted to stay at Liverpool." It soon became apparent that the appointment of Paisley as new manager, suggested to the board by the departing Shankly, was a masterstroke by the club. Somewhat perversely, Shankly's departure, far from being the death knell of the club's new found spell of success, was a signal for it to move up another gear. If Shankly had previously given the club it's wings, now it took flight, and Paisley's side swept all before it both at home and across Europe. Meanwhile, at reserve team level, Roy Evans was doing a similarly comprehensive job with the second string. His bold appointment had certainly paid dividends for the club and the workers' co-operative of Paisley, Fagan, Moran and Evans, now forged in the public's consciousness an indelible image: the quintessential image of the Boot Room. This image of teamwork and togetherness is readily confirmed by Evans. "Running a reserve team's not just about winning matches and trophies, it's about preparing players for the first team. We were all in it together. Everyone was encouraged to air their point of view. Even though I was only a young man they still listened to what I had to say. You might be disagreed with or they might say you'd had a gem of an idea but either way it was open house." "People loved the Boot Room because it was successful, but really, it wasn't us that made the club famous it was the team. After all, it was the team that was winning everything." As far as Roy Evans is concerned Joe Fagan was the man who held it all together. "Joe was the common sense man. He was the one who made it all work, who ironed out all the little differences. Ronnie was the aggressor and would give the stick out and sometimes Bob would load the bullets for him but if you ever got a rollicking off Joe then you knew it was spot on. There were no frills with Joe, but there isn't a single player who's been through the club who will say a bad word about him." "The thing about the Boot Room was that there was no aspect of the daily routine that one of us couldn't turn our hands too if required. Everyone could do a bit of everything. Everyone mucked in. Even when he was manager Joe used to carry the skips at the airports or wherever because that was the way he'd been brought up." 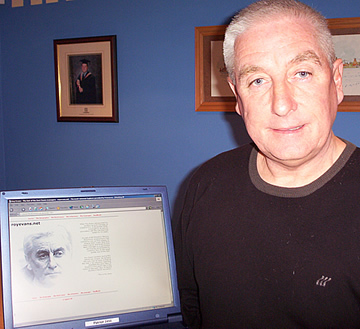 In the nine seasons from August 1974 to May 1983 Roy Evans' Central League reserve team won seven titles. In that time players of the calibre of Sammy Lee, Howie Gayle, Ian Rush, Ronnie Whelan, and Kevin Sheedy passed through the Evans school of excellence. These were the golden years of the Boot Room. "The club didn't have a great record of bringing kids on through the ranks at the time but you have to remember the quality we had in the first team in those days," says Evans. "We had a policy of trying to buy the two best players in the country at the start of each season, depending on what type of player we needed, and a couple of kids with potential. Peter Robinson played a big role in that idea." The Boot Room culture was now so well established that by the time of Paisley's retirement in 1983 everyone assumed another promotion from within would simply keep the wheels of juggernaut LFC turning. Indeed Joe Fagan's subsequent appointment to manager was no more than an oil change and the club claimed it's first ever treble in season 1983-84. In many ways though, it was to be the apogee of the empire's achievements. In the wake of the Heysel disaster of 1985 and Joe Fagan's sad retirement the club broke with recent tradition and appointed Kenny Dalglish as player manager. Though in no way a stranger to the Boot Room methods, Dalglish was brought in from outside its closed ranks. It was another bold move, and for a while, it paid handsome dividends. The timing, again, seemed impeccable, but unbeknown to anyone at the club the glory days were coming to an end. No sooner had the club come to grips with Heysel and it's ensuing European ban than it was hit with Hillsborough. It's a long held belief that manager Dalglish was finally forced to quit under the stress and strain of bearing responsibility for the club during the Hillsborough period but is not a theory that Evans agrees with. "This club has had some of football's greatest ever moments but it's also had two of the lowest in Heysel and Hillsborough. Everyone connected with the club pulled together at that time and I'm not totally convinced that it was Hillsborough as such that finished Kenny off. When you have success early on it creates more pressure for you down the line and the job ate up a lot of his family time. Kenny was still relatively inexperienced and you don't necessarily have all the answers you need to deal with things when they go wrong. I think the pressures of the job got to him in the end." The pressure was beginning to tell on the whole club. Slowly and inexorably the wheels began falling off and new manager Graeme Souness was unable to steer the club back on course. "Graeme worked very very hard to get things right when he was manager. I never saw anyone, including any of the fans, who were more distraught than him when we lost a game. It was so bad you would fear for him getting into his car. He wanted success so badly but if I was to be critical of him I would have to say that initially he was too impetuous about certain things." By the start of the 1993-94 season, Evans had worked his way up to assistant manager. Like a punch drunk boxer, the club was now reeling under the onslaught of sleeker, more clinical opponents. Teams the club would have casually brushed aside a few years earlier were swaggering around Anfield taunting the flailing and mortally wounded giant with the type of confident, snappy football that had been a hallmark of the great Boot Room teams of Shankly, Paisley, Fagan and Dalglish. Perhaps inevitably, Souness fell on his sword and in March 1994 Roy Evans finally acceded to the throne. His appointment was greeted warmly by fans and media alike. This was a chance to turn back the clock. "Well I decided we had to return to getting the simple things right. Then the press picked up on it with their 'Back to Basics' headlines. For a time it augured well. The black clouds that had descended on the club during Souness' reign lifted and some sort of normality returned to Anfield. But it was not to last. Defensive frailties proved a devil to fix and the club remained tantalisingly on the fringe of the Premiership title race for 4 seasons, finishing 4th, 3rd, 4th and 3rd again between 1995 and 1998. The signings of Phil Babb and John Scales, both designed to shore up a leaky back line, were only partial successes. In goal, the deterioration in form and confidence of David James became another worrying element of the side's inability to go the extra mile. Strenuous efforts were made to improve the team's consistency but as Evans points out, it's not simply a case of deciding who you want to buy and then picking them up at the supermarket. Back in the days when you had to finish as champions or perhaps 2nd place to gain a Champions League slot it was obviously harder to entice top European players to the club if you were outside of those places. "There may be all sorts of reasons why you can't sign someone. We were in for Marcel Desailly and it looked like we'd got him, then at the last minute Chelsea showed an interest and he went there - he preferred going to London over Liverpool. His quality would have been ideal at the back for us. I also went to watch Lillian Thuram a few times when it looked like we might be able to get him but for various reasons the deal never materialised."